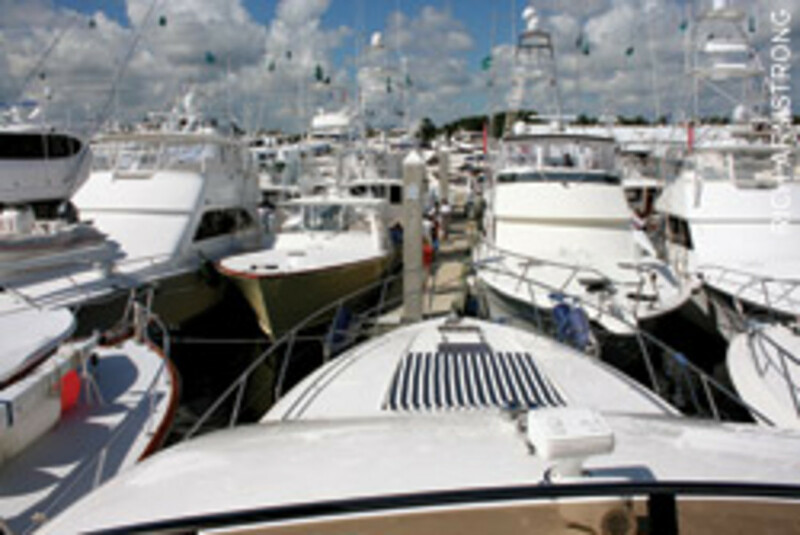 When it comes to boat shows, there&apos;s agreement among many on one aspect: There are too many. The National Marine Manufacturers Association sold four boat shows and acquired one in the last year, leaving a total of 17 NMMA-owned shows. Several were called off because of the economy, and not all of them will be coming back, says NMMA executive vice president Ben Wold. "There are probably 300 boat shows of some size and credibility in the U.S.," Wold says. "They just evolved from the &apos;70s." Like so much in today&apos;s economy, the boat show landscape is changing. There are fewer shows, and those that remain have been downsized, with smaller spaces leased by fewer exhibitors. Association- and industry-owned shows are making efforts to appeal to all segments and all types of customers, while smaller niche shows - mostly independently owned and often with an emphasis on education - continue to court a certain demographic. In some cases, manufacturers are giving dealers financial help to offset the cost of participation. Most in the industry agree that boat shows remain an integral tool for making sales and generating leads, but many are asking how shows will be affected in the long term following one of the deepest recessions the boating business - indeed, the world - has endured. Dealers are weighing the cost benefits of participating in shows, sometimes opting out of them and instead holding open houses. John Spader, president of Sioux Falls, S.D.-based Spader Business Management, connects boat dealers from around the country so they can hash out business decisions on a peer-to-peer basis. "A big question is, boats that get sold at a show, what are the margins on them?" Spader says. "A lot of times if you&apos;ve got four or five dealers at a show and they&apos;re beating each other up [on pricing], you may sell some, but did you make any money on them?" Joe Cacopardo, marketing director at Knoxville, Tenn.-based Sea Ray, agrees that dealers are weighing the cost of shows more heavily. "I&apos;ve heard of some dealers who have elected not to go to shows - not only our dealers but others, too," Cacopardo says. "They&apos;ve said they can&apos;t afford the shows, while others continue to move forward with them. Boat shows are important, but there&apos;s going to be a much more scrutinized process for participation and size of participation moving forward." As a result, shows are somewhat in a state of flux. "I&apos;ve seen more shows change hands in the last five years than I ever dreamed," says Phil Keeter, president of the Marine Retailers Association of America. Some show owners capitalized by selling their profitable events, and some shows simply were no longer viable, Keeter says. "Southern California is a good example of that," he says. "There are 17 shows that have boating product in them. Some of them have to go away." Too many shows in one area can make it difficult to create the sense that buyers can land the best deal at a particular show, Wold says. Some dealers end up going to six or seven shows at great cost, while those that opt out might worry about a perception that they&apos;re struggling, especially in today&apos;s economy. "There&apos;s a silver lining to this, because a lot of these smaller shows will go away," he says. Boat show producer Duncan McIntosh dropped two of his four in-water shows a few years ago. His Newport Boat Show in Newport Beach, Calif., caters to big boats, both new and brokerage, and celebrated its 37th year April 15-18. "We decided we could do a better job if we tried to do the biggest and the best and not one in every harbor on the coast," McIntosh says. "We try to create an event that comes around once a year, and people look forward to it." In Southern California, there was no urgency for consumers to go to a show because there was another one the next month, McIntosh says. "One of the reasons to go to the boat show in the past is you can create this excitement, introduce new models and give people boat show specials that are a good reason to buy now," he says. "That gets watered down when there&apos;s one the next month and the month after that." Of the NMMA shows postponed this year, Wold says the New Orleans show is one that will be reinstated. "Others won&apos;t come back," he says. "Some of the shows - the second- and third-tier shows - will disappear, and you just hope dealers and builders support our shows and private shows with the strong [return on investment]." Dealers are evaluating the quality of traffic coming through shows, according to Sea Ray&apos;s Cacopardo, and deciding how much space to buy. Keeter says exhibitors won&apos;t be showing the number of boats they did in the past. "They&apos;re not going to get as much financial help from the manufacturer," he says. "The shows themselves, they can&apos;t sell the space, so it&apos;s a ripple effect. They&apos;ve got to cut down on the amount of space they&apos;re leasing." Even if dealers want to purchase the same amount of space as in the past, they might not have the inventory to fill the display because of wholesale financing problems. "I&apos;m sure there are some sales lost because you can&apos;t deliver immediately - nothing beats having a boat all ready to go," says Frank Herhold, director of the Marine Industries Association of South Florida, which owns the Fort Lauderdale International Boat Show. "But I think customers are adjusting, too." Several major shows are also shorter. "The shows that cut down their length of time more than likely - and I&apos;m just speculating - those shows will not lose a lot of attendance, as long as it&apos;s not weather-related," Keeter says. 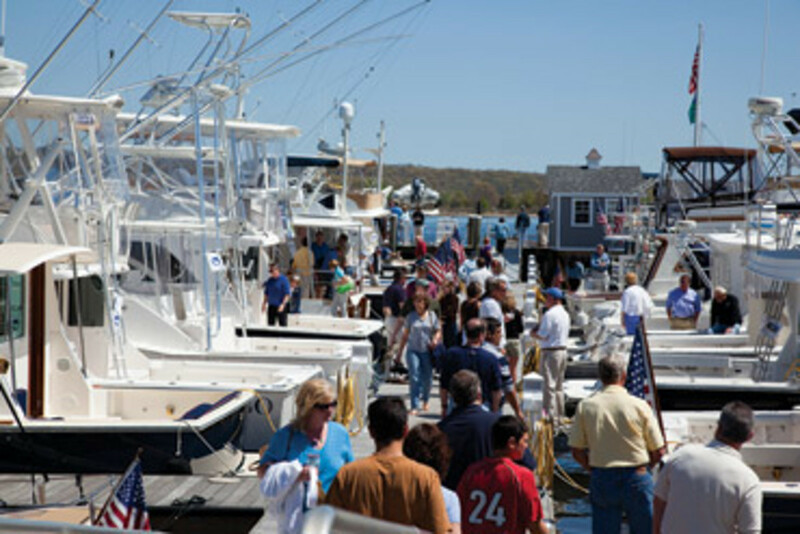 The New England Boat Show, which the NMMA purchased in December, is a nine-day event held in February. Larry Russo of Medford, Mass.-based Russo Marine, worries that compressing that show into one weekend would hurt attendance because of the weather uncertainties in midwinter. A major snowstorm on the weekend of the show can deal a serious blow to attendance. The smaller, niche boat shows are a "different beast," Wold says. Sailboats, for example, used to be prevalent at most shows, but they have largely evolved into sail-only events with intensive seminar schedules, he says. Now the NMMA is bringing that segment back into major shows, he says. "There are some niche shows that work, but I see them as a show within a show," Wold says. "I&apos;m not sure I think there are all that many or that they&apos;re a big trend." Rob Dorfmeyer, general manager and publisher of PassageMaker, recently added a fifth Trawler Fest - in San Diego. It was a bold move, Dorfmeyer says, that has proven successful in reaching a Southern California/West Coast audience. The small, highly focused events feature an in-water boat show focused on trawlers, and seminars and presentations on cruising under power and other related topics. "The education track tends to appeal to a much more sophisticated audience. Ours tend to attract people in the 45-and-over crowd," Dorfmeyer says. "The good part of that is I don&apos;t think the show exhibitors are fond of kids climbing all over their boats." McIntosh agrees that trying to be all things to all people is challenging because the market is so varied. "If you only do bigger boats and the people in this market who can afford bigger boats are a 45-year-old or 50-plus, largely male audience, that makes the job really easy," he says. "It&apos;s so much more complex when all of sudden I&apos;m trying to reach the 25- to 35-year-olds." Still, Dorfmeyer and McIntosh agree the large association shows are crucial to the health of the industry. "We have to get new boaters into our sport, and a lot of those [customers] buy smaller boats," Dorfmeyer says. "So the [association shows] certainly have a reason and a purpose." The NMMA is trying to accomplish with its shows just what Dorfmeyer and McIntosh say is so difficult to do - be all things to all people. That&apos;s easier for the NMMA because it runs 17 shows nationwide, Wold says. "Whether you&apos;re a sailor or a fisherman, drive a Jaguar or a Land Rover, here&apos;s a show that has something for you," he says. "We need to provide for different demographic groups, so we&apos;re working on that." Industry shows typically invest more into marketing than private shows, Wold says. "We put a lot of money into the Internet and other media because we want to create a good environment to attract someone to the show," he says. Association shows are changing from within, too. "The future of boat shows is bright, but we can&apos;t do things the same way and expect different results," Herhold says. "So we&apos;re changing here in Fort Lauderdale, and I know others are, too." The Fort Lauderdale show, for example, is courting a stronger overseas and export presence, Herhold says. The NMMA is putting "SailFest" back into shows, designating an area devoted to sailboats. And the NMMA&apos;s "Affordability Pavilion," featuring boats that can be financed for less than $250 a month, has been a hit, Russo says. "They did a great job showing people how affordable a boat can be," he says. "They even had Scooby-Doo walking the aisles. The kids loved it. It&apos;s not expensive - it&apos;s silly stuff. 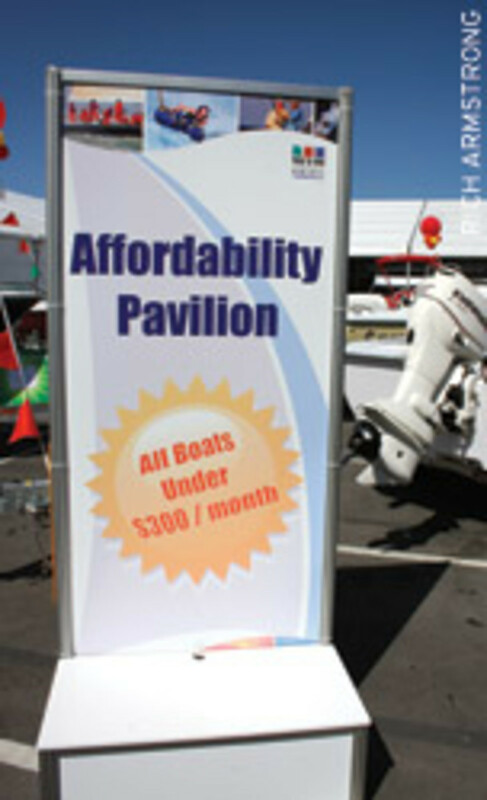 But if you&apos;re going to bring your kids to the boat show, why not give them a little fun?" The Fort Lauderdale and Palm Beach boat shows in Florida, like others, are looking for new ways to provide attendees value, Herhold says. One way is by offering more seminars with broad reach, like fishing clinics and boater education. The Fort Lauderdale show has also stepped up its courtship of international delegations, bringing in about 80 missions from eight countries, Herhold says. The MIASF also formed a partnership with the International Superyacht Society and the U.S. Superyacht Association to help educate attendees by allowing them opportunities to talk with captains and customs representatives, Herhold says. "We&apos;re looking at every aspect of the show to refreshen it and make it more viable for consumers as well as more productive and profitable for exhibitors," he says. At McIntosh&apos;s Newport Boat Show, brokerage boats have been on the rise. Brokerage used to account for about 40 percent of the boats; now it&apos;s closer to 60 or 65 percent, McIntosh says. The slow process of clearing out inventory has been good for new-boat sales, he says. However, highly publicized deals on used and brokerage boats make it difficult for new boats to compete. "The number of those is probably overstated, but they get a lot of buzz that some guy sold his $3 million [yacht] for $1.6 million," McIntosh says. "There are not many but enough that they&apos;re screwing up the market. As those completely disappear, that will have a positive influence on the new-boat sale side." Brokerage and used large boats have successfully been offered at the Fort Lauderdale and Palm Beach shows, Herhold says. 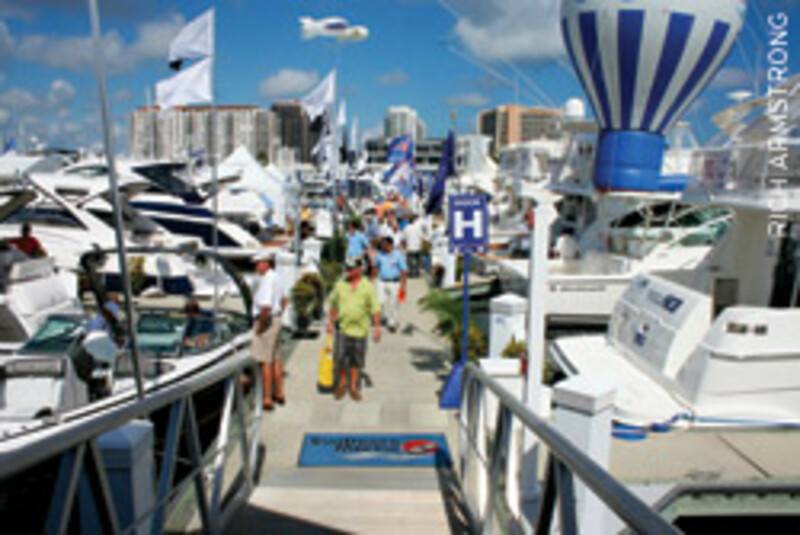 The NMMA-owned Miami International Boat Show runs concurrently with the privately owned Yacht & Brokerage Show. Some builders, such as Grand Banks, Nordhavn and Sunreef, made the jump from the NMMA show, which does not allow brokerage and limits used product, to the Yacht & Brokerage Show. That fluctuation is a natural flow and a result of the economy, Herhold says. Skip Zimbalist, the brokerage show&apos;s owner, says there is a "natural migration" between both shows. "I would point out that exhibitors flow both ways," Zimbalist says, adding that the shows coordinate carefully to ensure the two work in concert. The bottom line is exhibitors must determine how to get attendees into their booths, Keeter says. "I think the day is gone that a boat show exhibitor can set up a display and expect customers to come in," he says. "He needs to be inviting people to the show, have events at the show, have appointment times set up going in." Dealers will become more creative not only at the shows, but with their overall business plans as well, Spader speculates. When all is working well, he says, creativity might take a back seat, but as soon as things get difficult, creativity flourishes. "They&apos;ll be trying and testing other things, new ways of marketing, new ways of selling, and new ways of running their businesses," Spader says. "The thing is, right now, the industry as a whole is still in survival mode. When something is in survival or decline mode, the creativity needed in order to be successful has to kick in." Dealers might not be feeling as pressed as they have been because they have moved a lot of aging inventory, decreasing curtailments and possibly freeing up cash. But overall retail sales for the first quarter of 2010 are down 24.5 percent, according to Statistical Surveys. "There are more questions than answers now because the industry is still in survival mode," Spader says. "Once the stability comes, you can work to find some answers." For now, he has two main questions. "Paying the expense to the show is one thing, but getting the boats all hauled and cleaned is costly, too," he says. "There will always be some shows, but how many are going to be viable moving forward if sales volumes don&apos;t bounce back and how many dealers will want to go? That, to me, is going to be one of the big questions." The other is how much financial help manufacturers will be able - and willing - to give dealers to help them display at shows, Spader says. Some dealers have done more open houses instead of attending boat shows or in conjunction with them, he says. The open houses and rendezvous events are a result of the economy and are good tools, Wold says, but they can&apos;t generate the numbers the boat shows do. The NMMA is allowing attendees to preshop boat shows online 30 days in advance, and that has been a great tool in creating leads and generating an audience that is interested before arriving. Studies by J.D. Power and Associates and Michigan State University&apos;s marine research center have shown that 36 percent of people who have been to shows tend to buy a boat they&apos;ve seen there, and 58 percent of boat buyers have been to a show within the last six months, Wold says. Additionally, 73 percent who are interested in accessories buy products they&apos;ve seen at shows. "It would be hard to get 40,000 or 50,000 people looking at your product and getting excited [anywhere] but at shows," he says.